Oh. My. Word. Where should I start? Sugar. Ok, could be worse but we all know that refined sugar is bad and addictive and just not nutritional and it is the FIRST ingredient! Ingredients are listed in greatest to least amount for the product. Next – Enriched (because they took out all the nutritional value and had to put it back in) BLEACHED Wheat Flour. I probably don’t even need to comment on that. Powdered Sugar. More sugar, really? Cocoa Powder Processed with Alkali (cocoa processed with Alkali has significantly less health benefits than unprocessed cocoa – significantly reduced flavanols.) Vegetable Oil Shortening (Partially Hydrogenated Soybean Oil) I think we all know how bad this is due to the “trans fat” scandal that has been exposed over the past few years. Finally the “less than 2%” other ingredients include Artificial Flavors. So — there are essentially NO significant nutritionally sound ingredients in this entire box mix. One other thing to note is that in order to make the brownies, additional vegetable oil is required, which is has detrimental health effects. The only saving grace is maybe the one to two eggs that are required as well. So…as good as we thought these brownies tasted…I can no longer bring myself to enjoy them! My body will be robbed of its nutrients just trying to process these anti-nutrients! Rather than nourish my body, I will be harming my body. Me, my family, and most of society needs to retrain what tastes good to us. I am still learning and trying. I made these brownies and yes, the texture is different than boxed brownies or even homemade brownies using white sugar and bleached, enriched flour but they have a wonderfully rich taste. They were even enjoyed by my sons, who audibly rolled their eyes when I told them I was going to try to make brownies again. They have been victims of my previous attempts…can’t say I blame them! This entry was posted in Desserts, Easy Kid Treats and tagged brownies, chocolate. Bookmark the permalink. 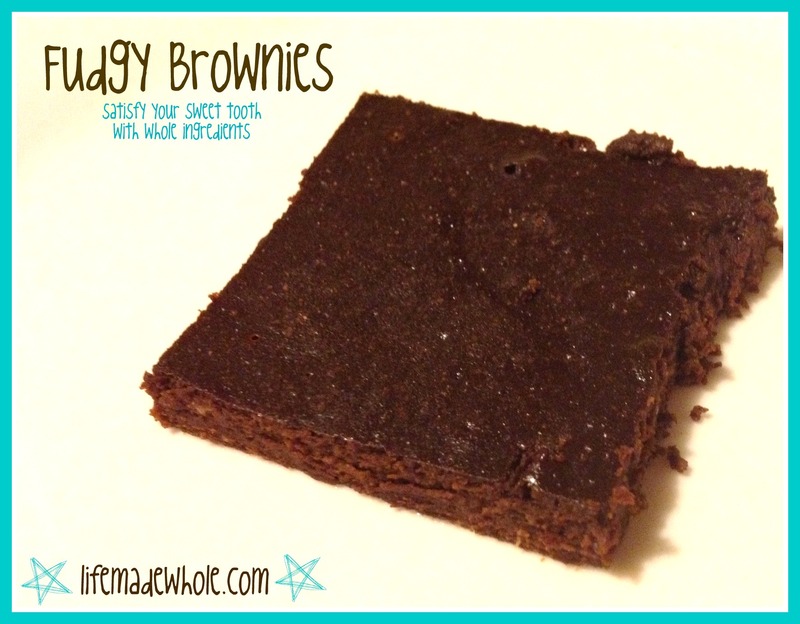 4 Responses to Finally….Fantasticall-y Fudge-y Brownies! Let me know how they turn out! You can throw in some walnuts if you would like. I don’t like nuts in my brownies. I was told to use potatoe flour for moist baking goods? I have never used potato flour. I will have to give it a try sometime.